Powers: Symbiotic relationship with a shadow Loa/Spirit passed along his bloodline granting him an assortment of powers and abilities.The Shadow Loa grants him superhuman physical capabilities such as enhanced speed, strength, stealth and endurance and allows him to pass freely from the living world to the Deadside. His scythe is especially effective against demonic entities. The Shadowman legacy began on a Louisiana plantation in 1812 with the birth of Albino twin siblings Nicodemo and Sandria Darque. Their mother did not survive the ordeal. However, bonded by their affection for each other, the twins grew up in the care of their doting father, who trained them in “the art”, a dark magic that gave them power over the forces of life and death. As their skills in the art grew, the bond between brother and sister only became stronger [Shadowman #0]. But their father, obsessed with crossing over into a magical dimension called Lyceum, turned his children into conduits for necromantic energy on their 18th birthday attempting to sacrifice Sandria’s life in the process to complete his spell. Refusing to lose his sister, Nicodemo drew on powers far stronger than his father ever imagined and killed him to save her [Shadowman #10, Valiant Universe Handbook FCBD, 2014]. Nicodemo healed Sandria and destroyed the plantation and together the twins walked out into the world. Sandria knew that Nicodemo possessed a dark and destructive power, but she stayed with her brother until fear finally drove her away. In the fall of 1864, Sandria fell in love with an African American soldier named Marius Boniface. Jealous of his departed sister, Nicodemo tracked the lovers back to Louisiana where he found Sandria pregnant and on the edge of childbirth [Shadowman #10, Valiant Universe Handbook FCBD, 2014]. Rather than allow Nicodemo to kill her beloved Marius, Sandria sacrificed her own child to summon the power of a Voodoo Loa and bound it to Marius, creating the only weapon capable of opposing her brother’s colossal power- a weapon called the SHADOWMAN. The power of the Loa would become a legacy passed through the Boniface line for centuries [Shadowman #10, Valiant Universe Handbook FCBD, 2014]. Jack Boniface was born to Josiah Boniface and Helena LeBreton. While his mother was still pregnant Josiah gave her amulet that would shroud her and Jack from magical detection [Shadowman #1]. When Josiah died in battle with Nicodemo Darque, Helena gave birth to Jack in secret. Jack’s mother was killed in a car accident while he was still a boy, leaving him ignorant of his birthright [Shadowman #13x]. Before her death she gave Jack a special amulet, making him promise to wear it always. Jack bounced around foster homes after this and was a very violent young man [Shadowman #13]. Years later Jack returned to his childhood home of New Orleans to learn the truth about his parents. When Jack discovered that his parents both possessed lengthily and violent criminal records, he threw the amulet away, rejecting his mother’s final wishes. With the amulet protection gone, the Shadowman Loa found Jack and bonded to him, but not before Jack was attacked by creatures from the Deadside [Shadowman #1, 2011]. The fledgling Shadowman survived with the help of Dox and Alyssa, agents of an order called the Abettors, sworn to aid the Shadowman [Shadowman #2, 2012].There was an instant attraction between Jack an Alyssa and she became his window into this new world [Shadowman #2, 2011]. Jack’s first test arrived in the form of Mr. Twist, a demon servant of Nicodemo’s- now called Master Darque [Shadowman #3]. Mr. Twist had been sent by Darque to gather the life force needed to return him to our world. 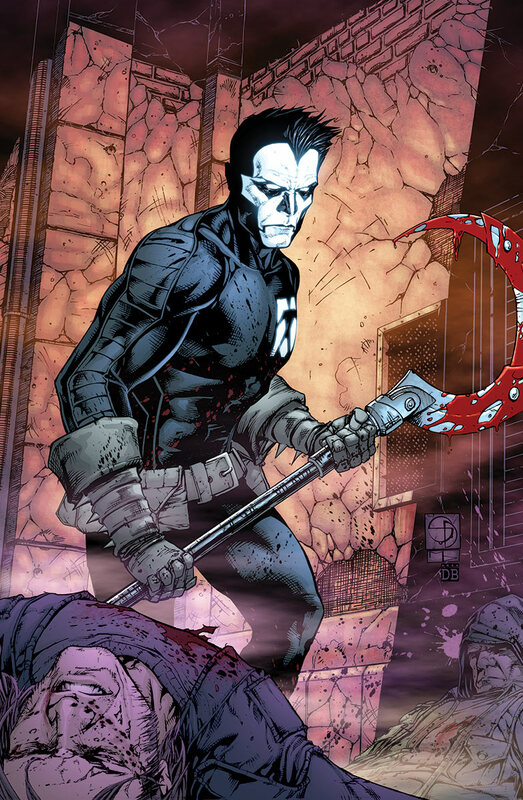 Jack traveled to the Deadside to confront Darque, coming face to face with his past and future before fully accepting his mantle as Shadowman [Shadowman #3 and Shadowman #4]. Darque would not be dissuaded however, and continued to search for a way back to Earth by enlisting Baron Samedi [Shadowman #5 and Shadowman #6]. In the battle that followed, Jack was unable to protect Dox from Darque’s wrath and the Abettor lost his life [Shadowman #7, Shadowman #8 and Shadowman #9]. Without the aid of Dox, the Shadowman Loa began to take its toll on Jack. He began waking up in alleyways covered in blood, surrounded by unconscious victims of his beatings, with no memory of what had transpired [Shadowman #13]. Desperate to help, Alyssa sent Jack to see a bayou priestess called Punk Mambo-a raffish voodoo witch with a taste for Mohawks and bobby-pinned leather. Mambo performed a magical rite to separate Jack from the Loa, called Umbra, inside of him. The rite failed, leaving Jack vulnerable to control by the dark spirit [Shadowman #13]. 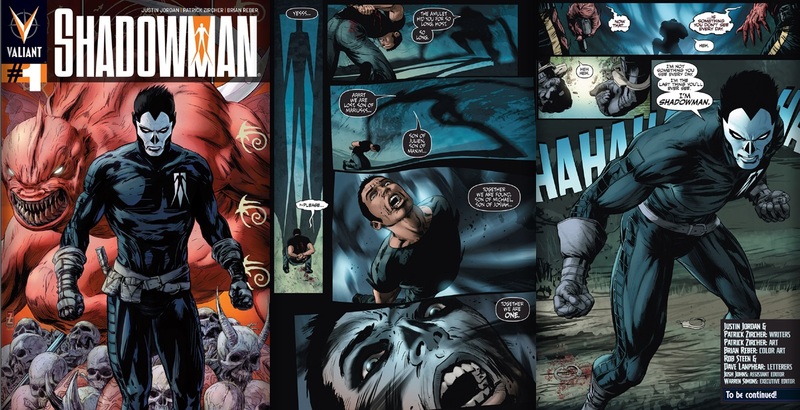 As the Abettors plotted to kill Jack and replace him with a new Shadowman, Jack found himself locked in a struggle with a rival fear Lao called Tremble [Shadowman #14, Shadowman #15]. With Alyssa’s help Jack managed to defeat Tremble and assert control over the shadow Loa-for a time [Shadowman #16]. Though bolstered by Alyssa’s newly declared love and their relationship, Jack’s control again faltered when he learned that his father did not die in battle with Master Darque, but was still alive [Shadowman End Times #1]. Angered beyond reason, Jack went looking for his father, turning to the one person he believed would know how to find him…Master Darque [Shadowman End Times #2]. Restoring the Necromancer to life and agreeing to his terms, Jack tracked his father to his hiding place within the Deadside. Angered at his father’s abandonment, the confrontation between father and son turned violent. Jack killed his father in a fit of rage [Shadowman End Times #3]. It was at this point that Jack learned that their agreement bound him in servitude to Master Darque. 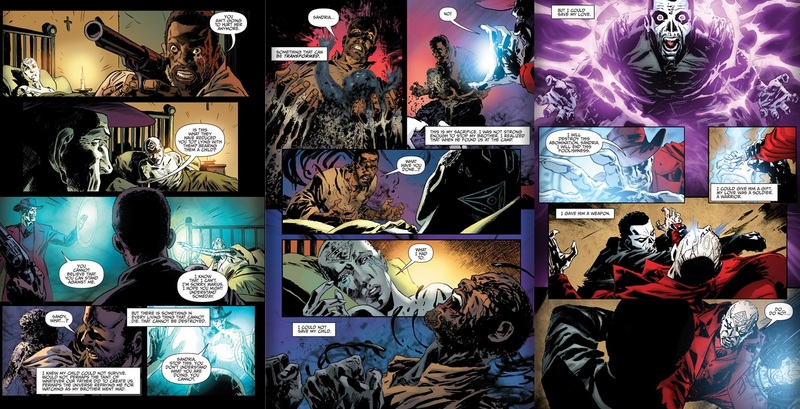 At this time, the mad sorcerer’s plans for his new vassal have not yet been revealed [Shadowman End Times #3 and Valiant Universe Handbook FCBD, 2014].